*By registering & signing up you are committing to a minimum fundraising target for the Bear Wood Appeal. Take on the challenge of a walking marathon through the spectacular landscape straddling the border of England & Wales, the Wye Valley, to support the Bear Wood Appeal and help protect UK native wildlife. Start in Chepstow then meander through beautiful woodlands and the limestone cliffs of the Wye gorge, with the magical twisting riverside path to the final destination of Symonds Yat. And not to worry, a team of trained guides will be on hand throughout the challenge with checkpoints along the route giving you a chance to get a drink and snack. Whether you're a keen walker, a regular competitor, or just up for a real challenge - join the challenge and push yourself! 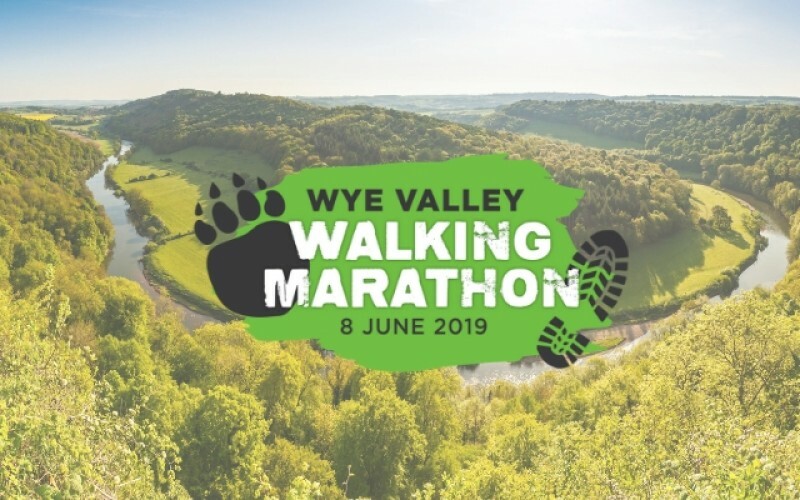 By taking part in the Wye Valley Walking marathon you will be raising money for Bristol Zoological Society’s Bear Wood Appeal. Bear Wood is an exciting new development due to open in summer 2019. The exhibit will transport you back in time to when the woodland was inhabited by European brown bears, European wolves, Eurasian lynx and wolverine. It is the story of what was, where we are now and what is still at stake; and will educate generations on how to save wildlife together. To register for the event, simply follow the ‘register now’ link, complete the registration form and payment instructions and you are signed up!